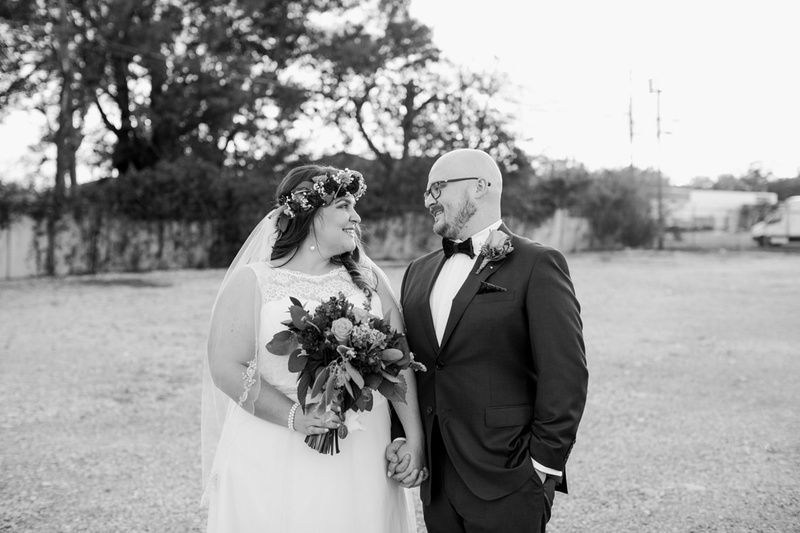 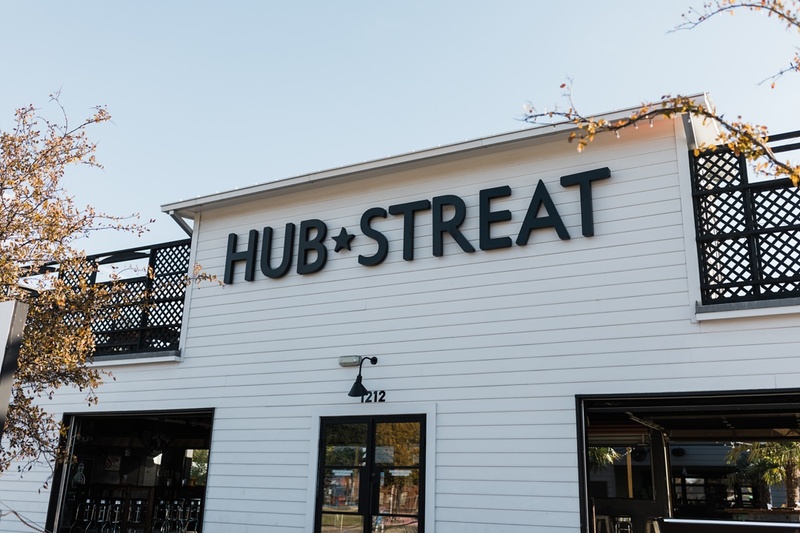 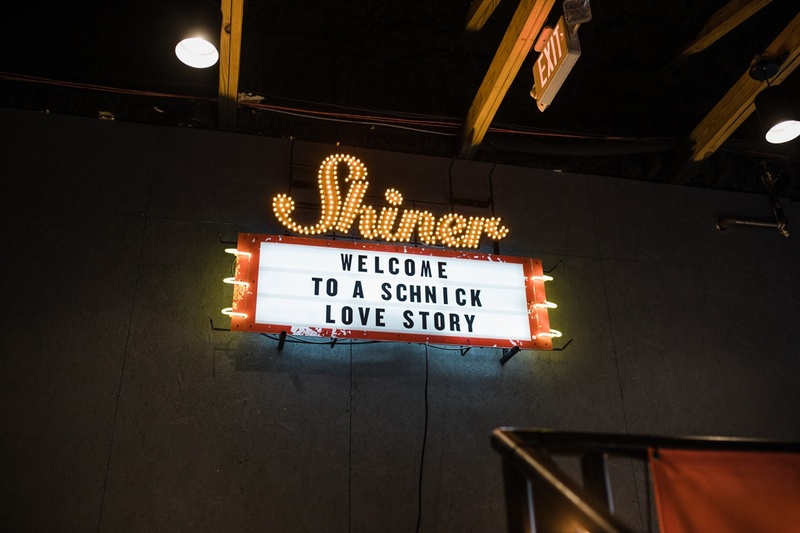 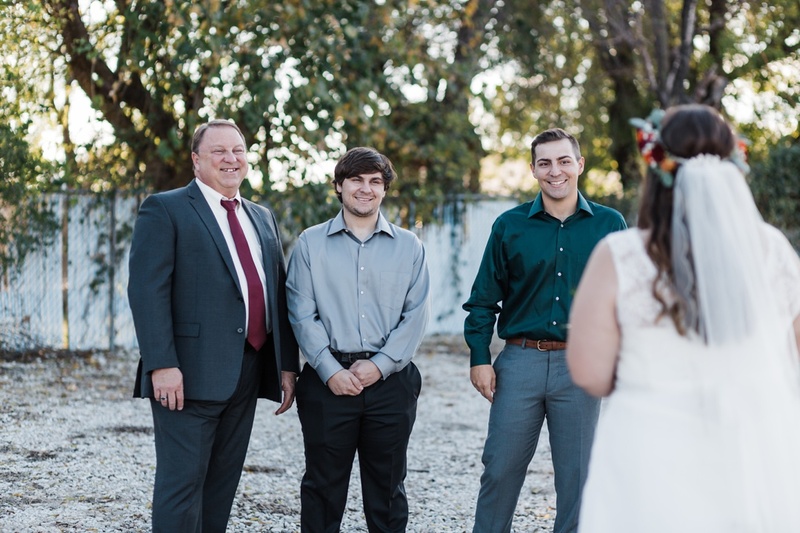 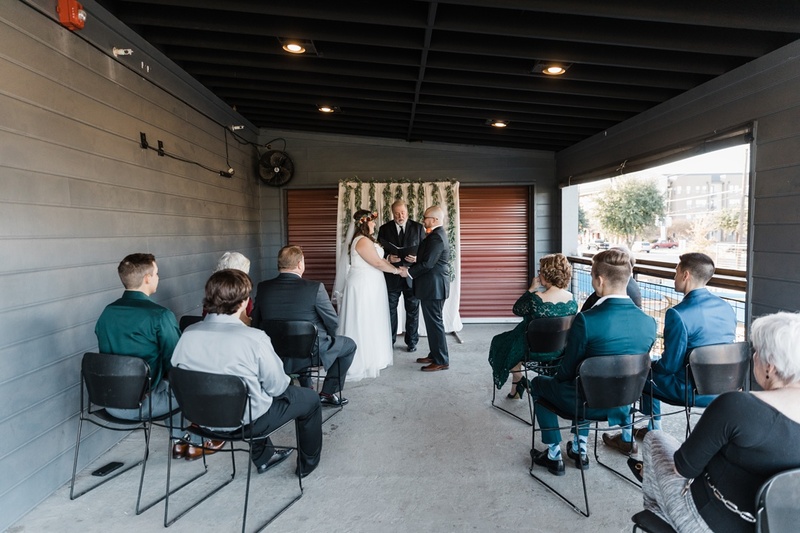 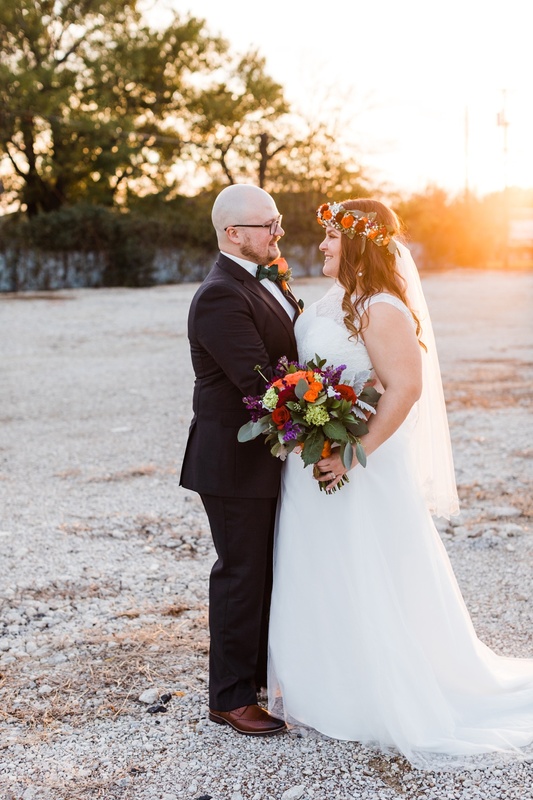 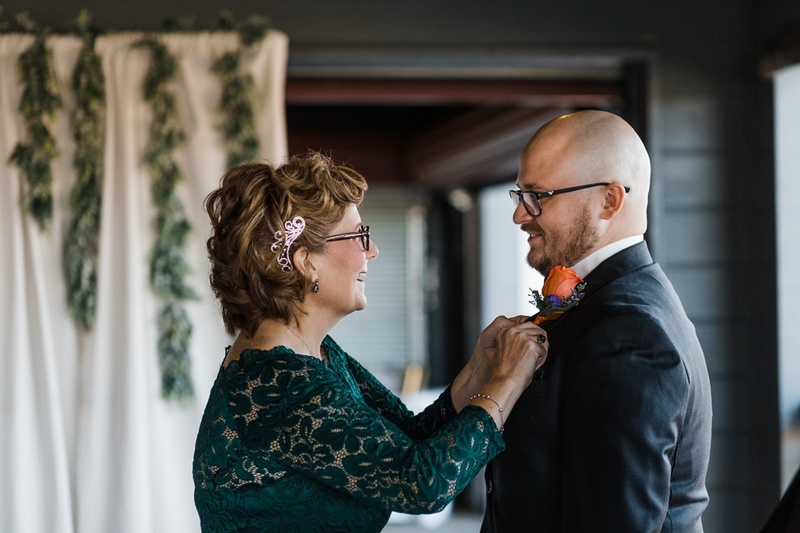 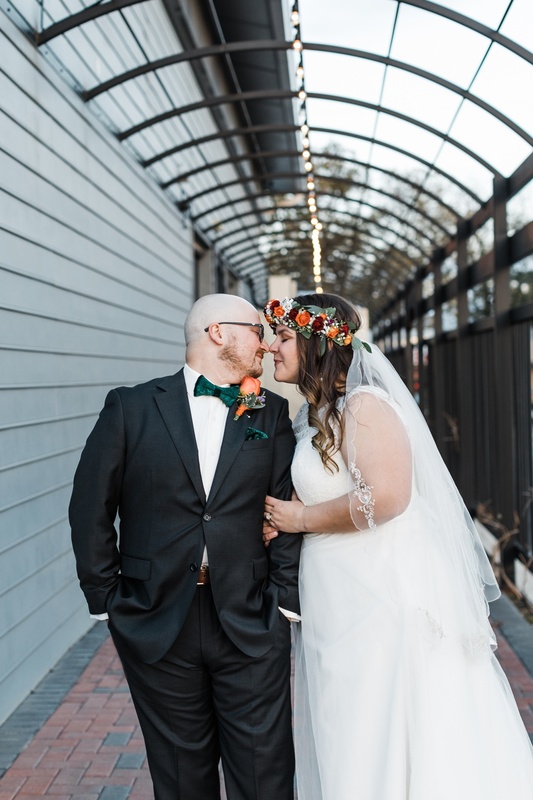 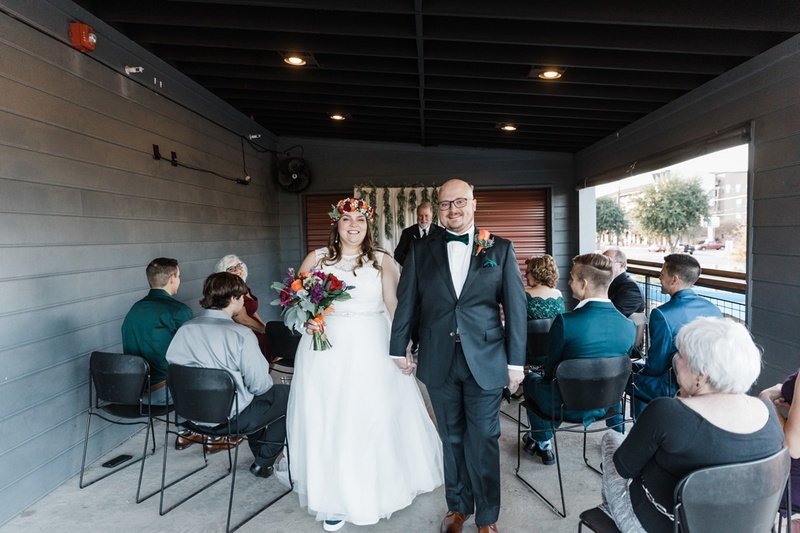 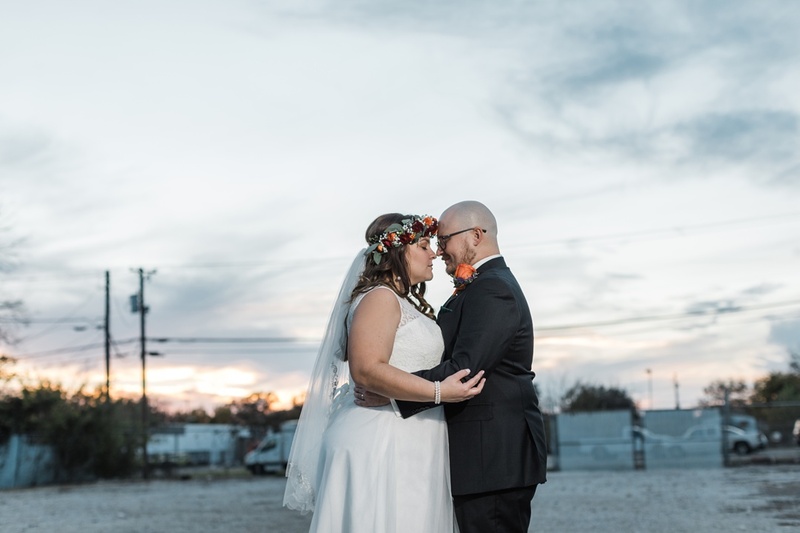 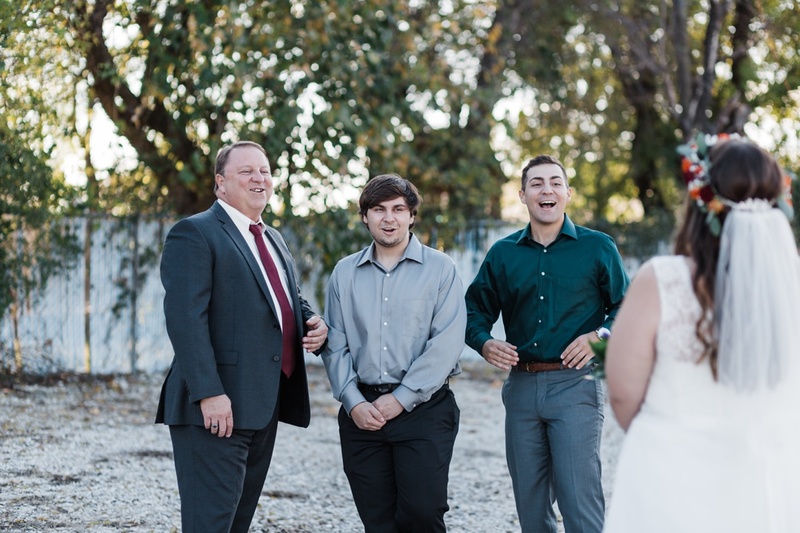 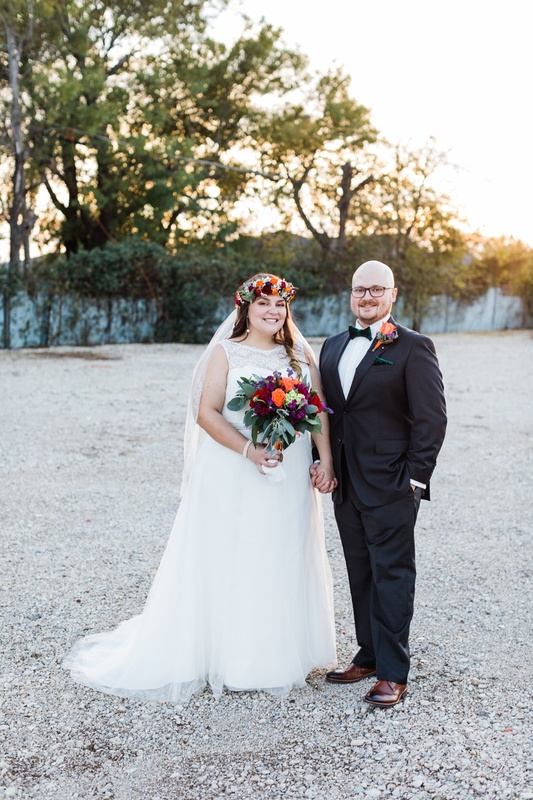 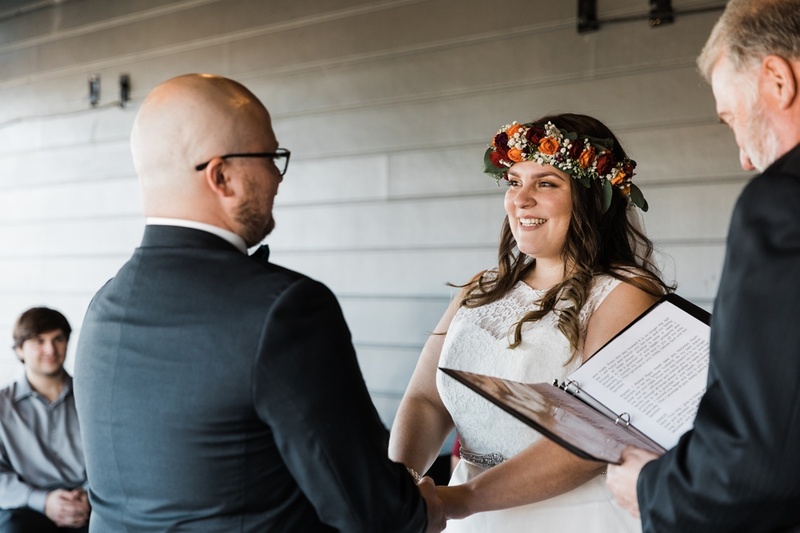 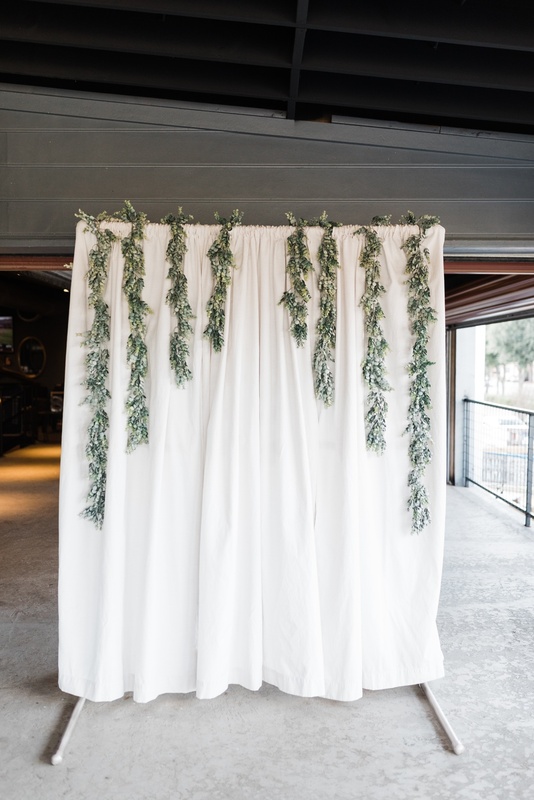 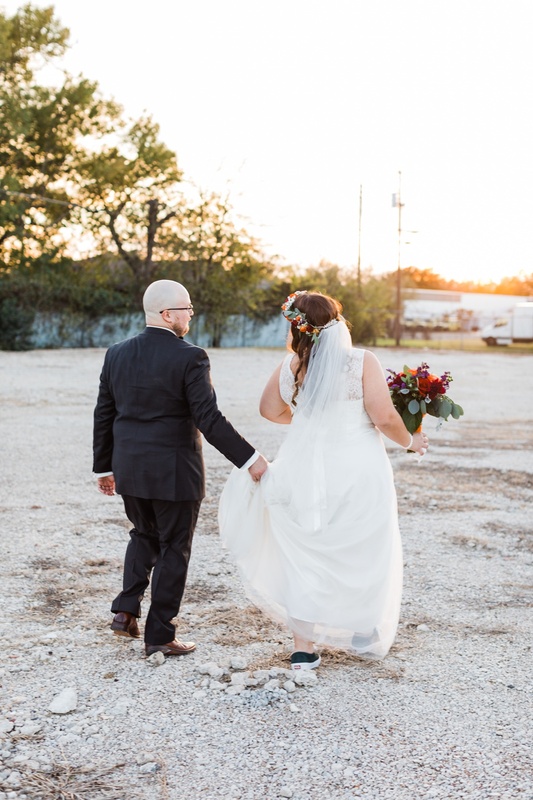 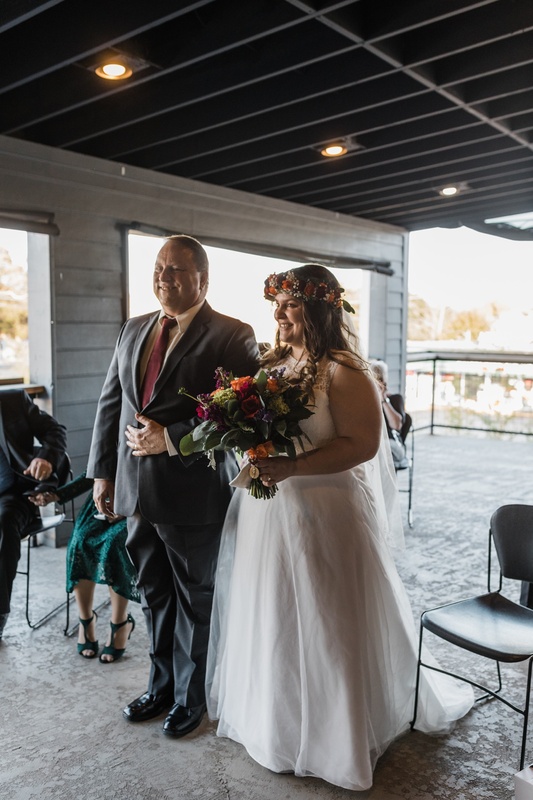 Alyssa and Nick’s Dallas Elopement took place at Hub Streat in Plano, TX, after six years together. 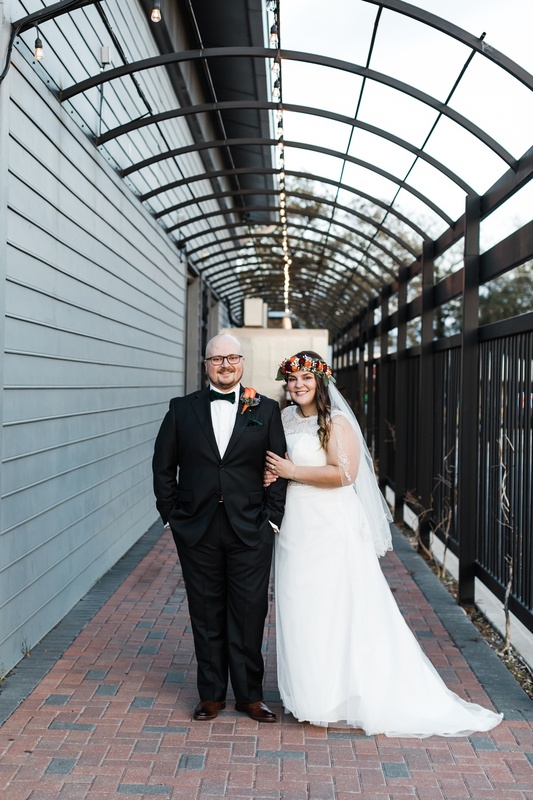 Three of those years were spent being engaged, and when I talked with Alyssa on the phone, she said they were ready to do this thing! 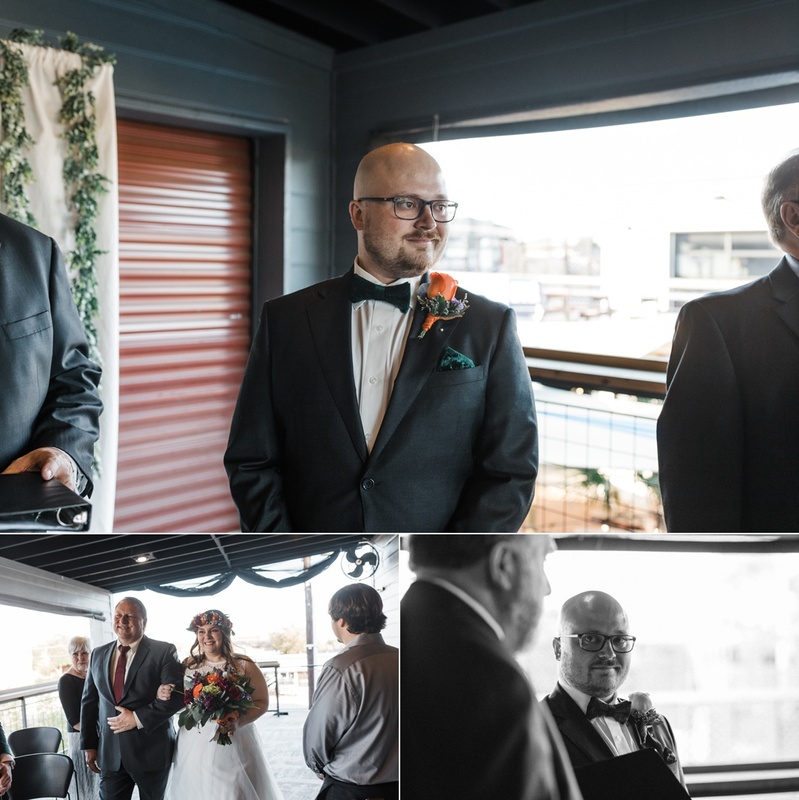 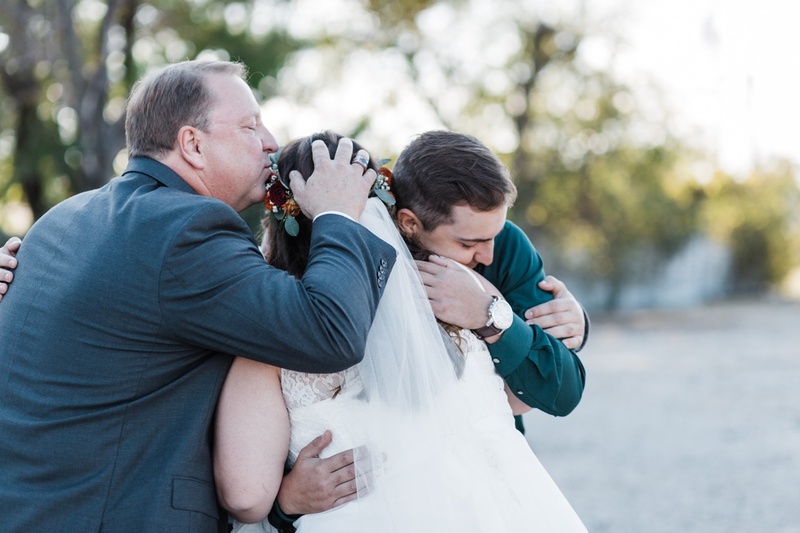 There were so many lovely, heartfelt moments to capture throughout this day: happy tears from almost everyone (including me! 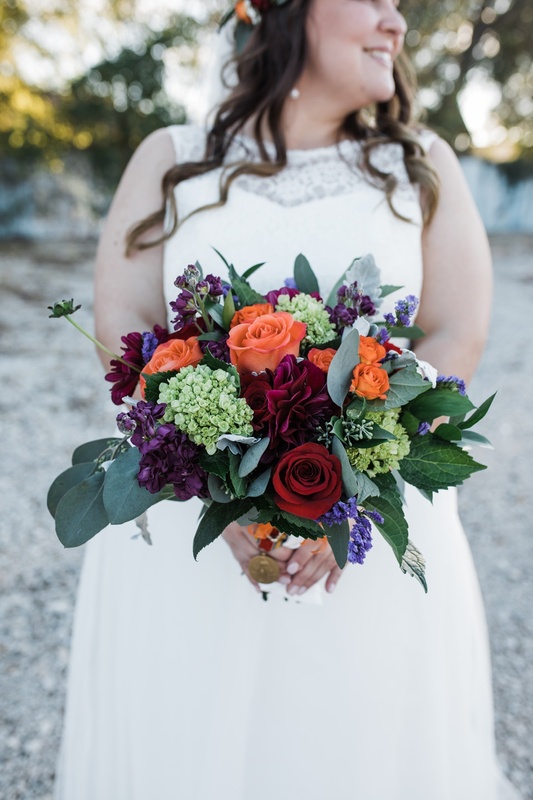 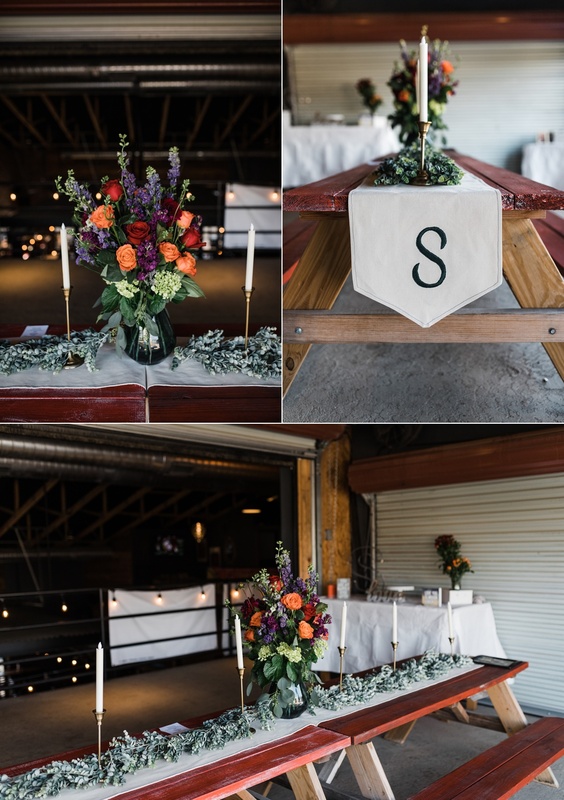 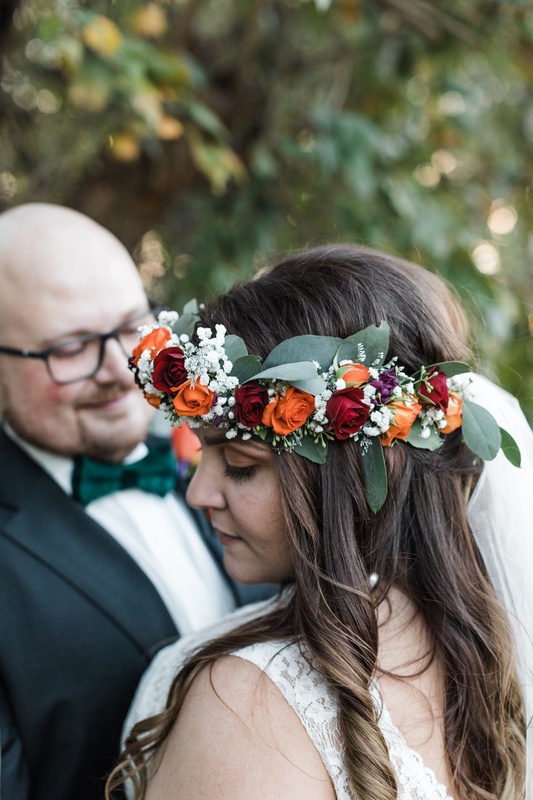 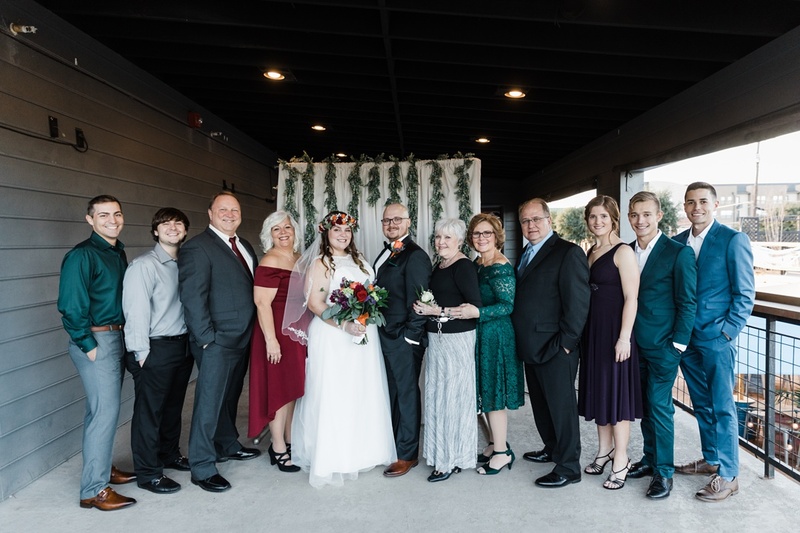 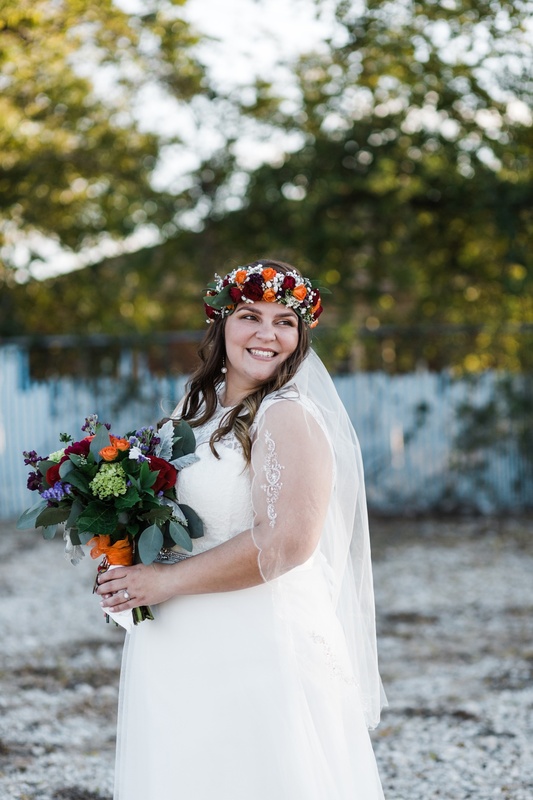 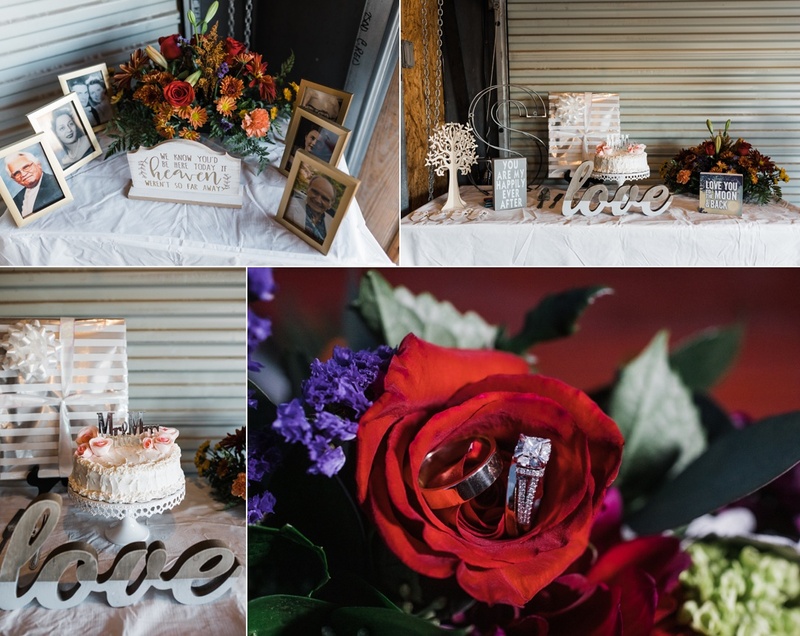 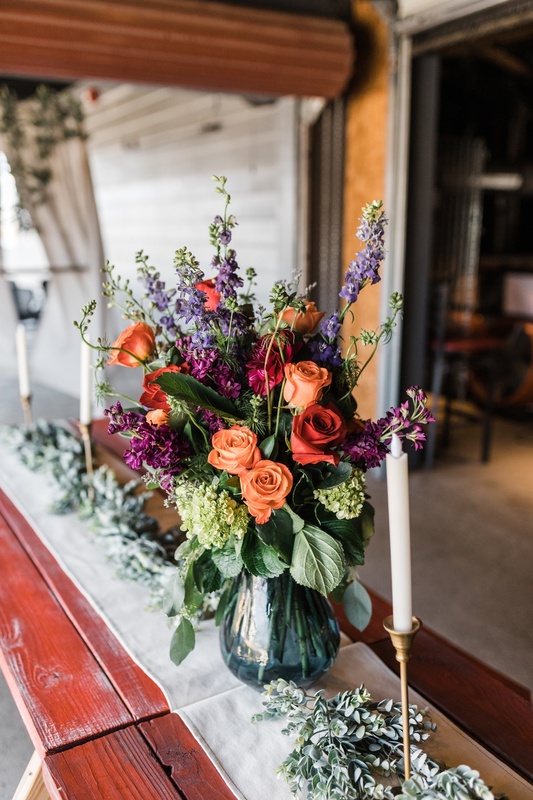 ); beautiful fall color popping in the decor; Alyssa’s flower crown and bouquet; thoughtful details and family heirlooms; and a ceremony on the patio. 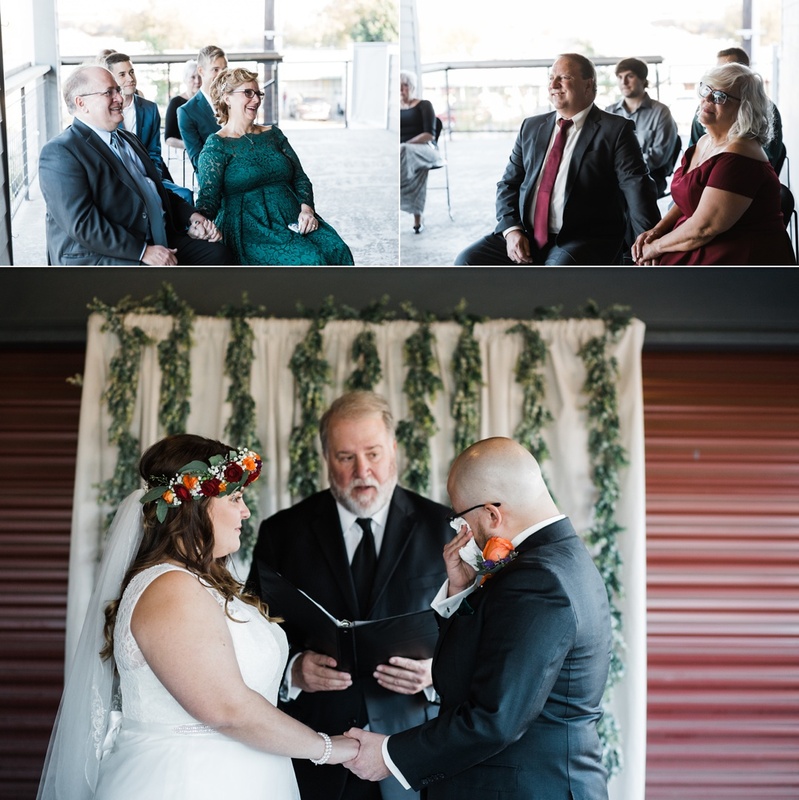 It truly doesn’t get better than that. 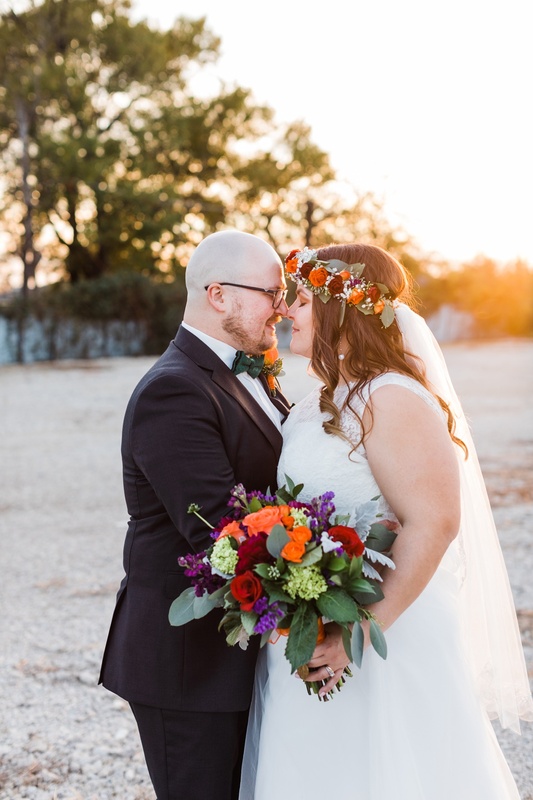 Plus, catching those last 30 seconds of perfect autumn golden hour light – I just can’t even!! 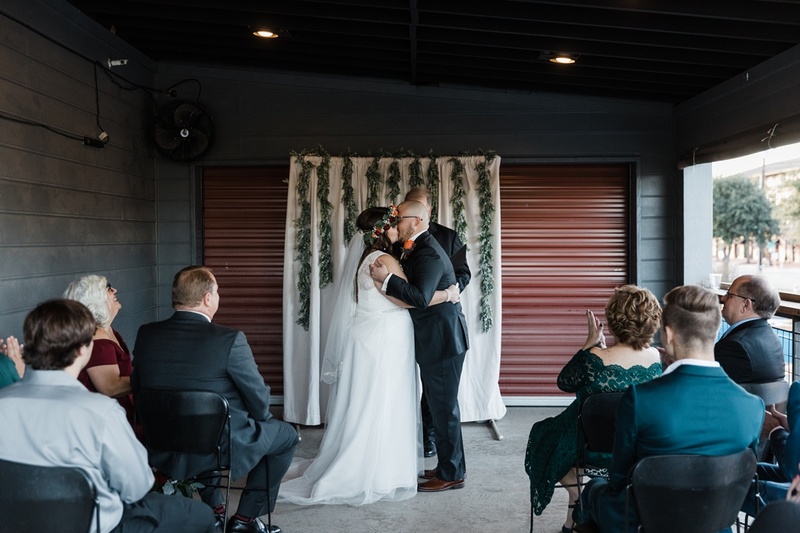 Thank y’all from the bottom of my heart for inviting me into this special and perfect wedding day. 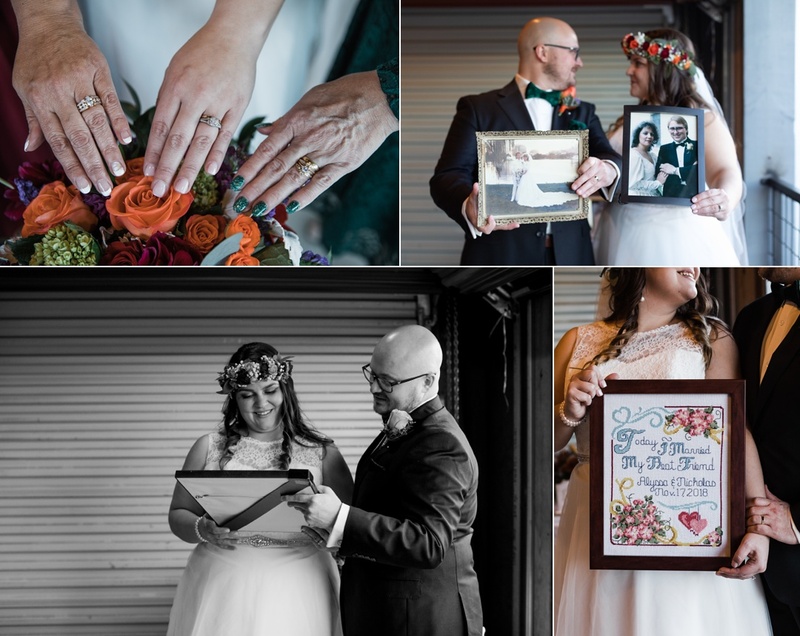 View more of our past elopement weddings!